Production Build with BMS, the BMS can protect the LiFePO4 battery from over discharge, over charge, over current, short circuit. 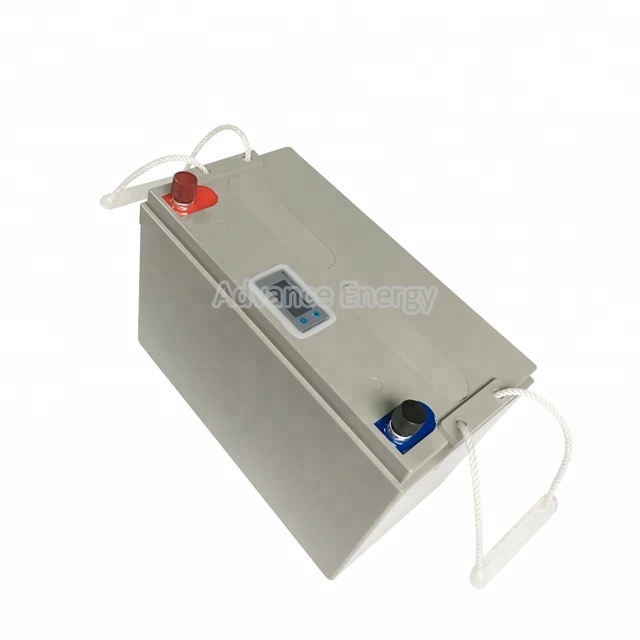 12V 120AH LiFePO4 battery is new environmentally friendly backup power system focus on short-term and high-rate discharge scenarios.The environmentally friendly LiFePO4 battery configured with high-performance BMS,has a wide range of performance and application advantages compared with conventional battery. 1) Reply within 24 working hours. 2) Customized available, OEM & ODM are welcomed. 3) Professional engineers & Exclusive and unique solution. 4) We are focus on LiFePO4 battery, we can provide battery packs according to your product work performance & structure appearance. 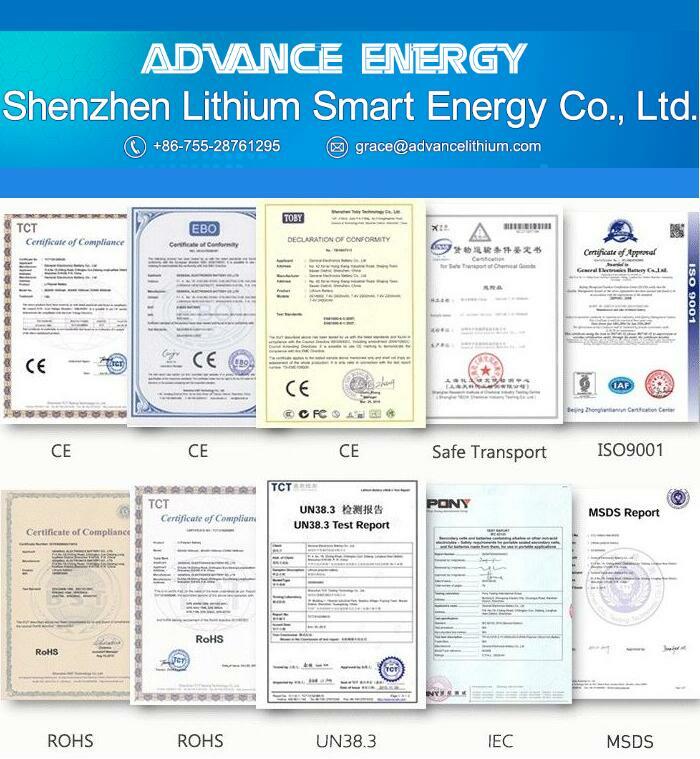 Advance Energy (Shenzhen) Co., LTD is a professional manufacturer specializing in development of lithium-ion rechargeable batteries and power systems. Our main founders have over 10 years experience in the battery industry, focusing on lithium ion (Li-ion), ferric phosphate Lithium (LiFePO4), lithium titanate (Li-Titanate) battery applications and provide global technical support. Our products are widely used in solar energy storage system, UPS, communication base energy storage station, low-speed electric vehicles (like electric tricycles, electric motorcycles, electric bicycles, golf carts), yachts, fishing boats, outdoor camping power supply, camping car/car auxiliary power supply. 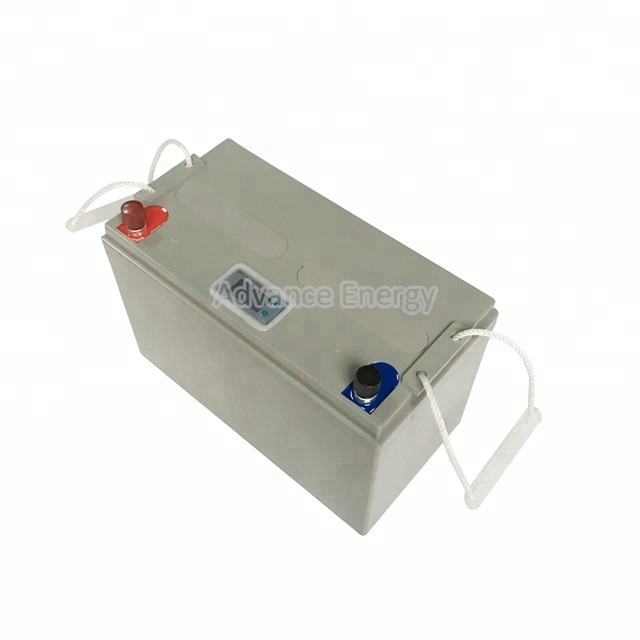 With years of design and development experience, and a good quality control system, our company will provide customers with the best battery energy storage solutions. Q1: I am trying to charge my battery through Solar Panel. If the battery pack already has the PCB/PCM protection, do I still need the solar charger controller ? If I want to solar charge LiFePO4/Lithium Ion battery, which already has PCB, would a normal SLA controller work fine? R1: Yes, you do need the solar charger controller since it will regulate the voltage from solar panel for your battery pack. 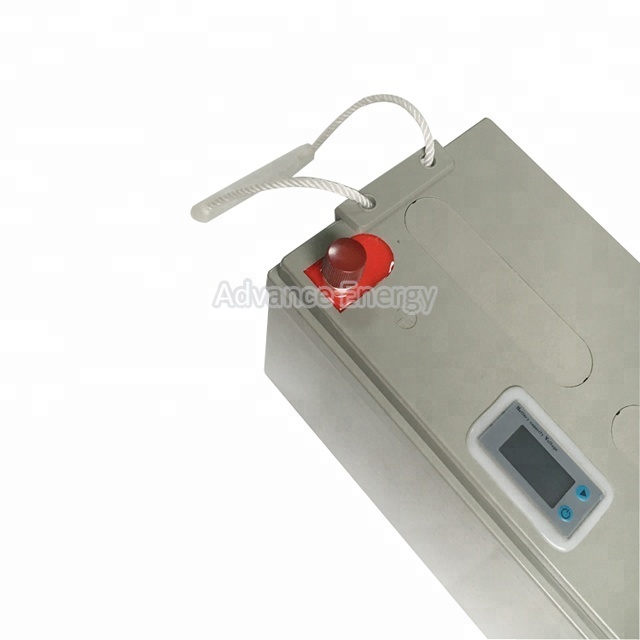 For LiFePO4 / Lithium Ion battery, we always recommend to use LiFePO4/Lithium Ion solar controller. Especially if you are using the battery as UPS (back up power supply). The Lead Acid solar controller will constantly provide pulse current to the battery, in the long run, it might damage the PCB. So the PCB won't be able to protect the battery when it should be. The LiFePO4 / Lithium Ion solar controller won't provide constant current when the battery is fully charged. So it is much safer and reliable. Q2. How does advance energy ship the LiFePo4 battery packs? R2: For sample order or small battery packs, we can ship by express through Fedex, UPS, TNT etc. If whole parcel over 100KG, can ship by air or by sea,sea shipping is more cheaper. Customer can tell your nearest airport name and sea port name for Lithium Valley sales person to check the best option for you. Q3. Can we put different LiFePO4 battery pack in parallel or series by ourself? 1> Make sure the voltage of each battery are same before put in parallel. If they are not same, charge them to the same rate. 2> Don't put discharged battery and undischarged battery in parallel. This may reduce the capacity of the whole battery pack. 3> Advise us the target capacity of the whole pack if you would like to put them in series. 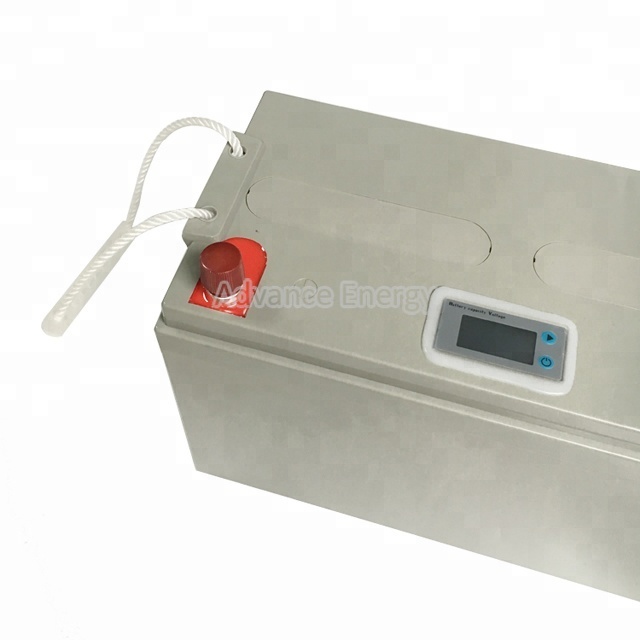 We will choose the suitable BMS for each battery. 4> If you are not professional in parallel and series batteries, please don't handle the battery by yourself. It may cause danger and hurt the cycle life of battery. Q4. Can we put different LiFePO4 battery pack in series by ourself? R4: You can buy big voltage directly from us.We suggest do not put them in series by yourself,this will hurt the cycle life of the pack. Q5. Does your battery pack include BMS? Can we use it for car? R5: Yes, our battery pack include BMS, you can use it for low speed car only or aux. power for standard car. Do not use it for standard car directly, that will need more complex design BMS for the pack. Q6. What is your warranty? R6:We offer 2 years warranty for all our battery pack. we ensure at least 2000 cycle life for the LiFePO4 battery pack, which means, after 2000@80% DOD, there will still around 60% capacityt left. You can use it for at least 5 years for normal 1 time charge and discharge everyday.